Please complete a separate registration for each Seder attendee. IMPORTANT: Donation is not required to register for the Seder. To register without donating just leave that section blank. 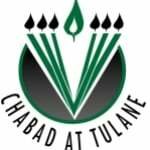 Chabad at Tulane has many sponsors to help us cover the cost of our Seders. To make a donation to help us pay for our Passover dinners, please provide your credit card information here.